On the 20th of March 2016, exactly one year ago, the EU-Turkey Deal started to be applied. I was 24 and a few weeks before the signing of the Deal, I started my post graduated internship at Generation 2.0. It was my first time living abroad and I was finally working in a place where I knew I could help. I knew I would have some difficulties, it is part of the job a person involved in human rights has, but I was not ready for the Deal and it came unexpected to me. The Deal was signed on the 18th of March and its implementation started in two days’ time. In the seven previous months, almost 800.000 people arrived in Greece. In that same month, the majority of the EU countries decided to close their borders. 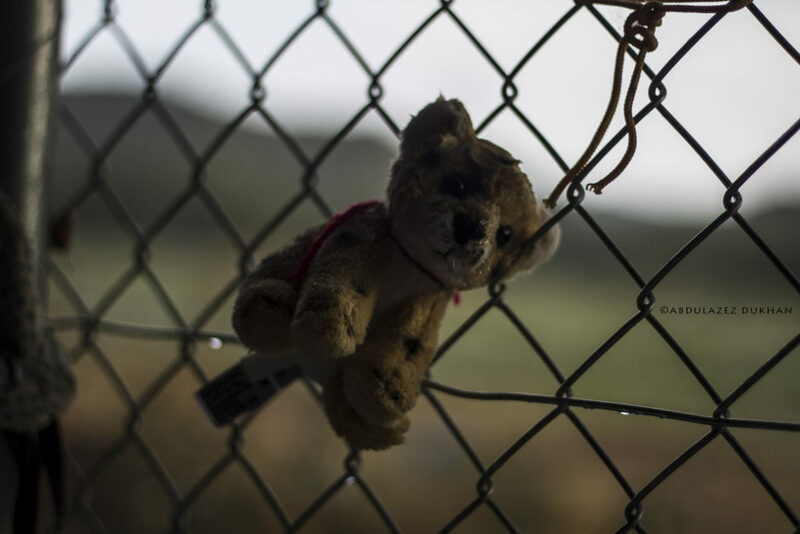 In a few weeks, Idomeni stopped existing as it was known in the televisions of the whole world and asylum seekers living there started to be transferred in camps all over Greece. Many of them decided to come back to Athens. From March and so on, the majority of the asylum seekers were stuck in Greece. The Deal states that for every Syrian sent back to Turkey after arriving on a Greek island from the 20th of March 2016 and so on, one Syrian would be legally resettled to a EU Country. Moreover, the Deal promised, among other things, 3 billion Euros to Turkey in order to stop new arrivals. False information were spread in those days: some asylum seekers were said that the borders were open again and celebrated it. But when they understood it was a false information, their happiness turned into fear and they started to be afraid they would be sent back to Turkey. I, personally, will never forget those days. The fear in the asylum seekers eyes, the craziness and unmanageable situation that the Deal created. I found myself with huge responsibilities I would have never imagined a few days before. Due to a complicated and endless process that the asylum seekers had to follow in order to require the international protection, I found myself managing everyday big numbers of people that were terrified to be sent back to Turkey. I had to face desperate people, few of them trying to corrupt me, or even threatening me to burn themselves. But the majority understood the situation, despite of their very vulnerable situation, and some of them started to help me as volunteers in the communication in Arabic and Farsi Dari, since I did not have interpreters. Their help was essential and, if things went better, it is also thanks to them. But the heaviest aspect for me was that my decision could bring a change in the lives of those people, both positively and negatively. Due to a crazy system for the application, if I could not accept a person (and I could not accept many), he/she could be arrested because -in the meantime- their permit could expire or they could even be deported. I did not sleep for nights because of it. And I was not an asylum seeker, I was on the safe side. Despite of my job, I had the chance to have a normal life. Despite the whole situation being really stressful, despite getting sick and feeling completely abandoned by the EU institutions, I tried to do the best I could and I started to concentrate on solutions more than on problems. A year after, I can say that the Deal drastically reduced the number of asylum seekers coming everyday to Greece, but many reports continue to suggest that Turkey is not a safe country for them. This change has not even improved the situation of the asylum seekers in Greece, who too often are facing lack of human rights. Moreover, the Deal has not stopped smugglers. The recent decision of EU to reapply Dublin III in Greece will only make things worse, since Greece is not able to host asylum seekers in decent places at the moment. I don’t know if the EU Turkey Deal will be taught in schools in the future. What I am sure of, though, is that I will tell about it to the next generations. I will not only tell them about what it says, but I will especially tell them the biggest lesson I learnt from it: when people take decisions but don’t know the reality and the difficulties of a place, when they have no idea of the circumstances people who had to flee horrible situations are living, they don’t take into account the consequences. And sometimes, consequences can be out of control and can bring to lack of human rights. It might also happen that a 24 years old woman and other people working in small NGOs, without any kind of instructions and support, will have to take hard decisions that should be of governments’.